Since some of the PCMR doesn't understand that CSGO is PC gaming, I guess we should have a thread. Jeffrey Lebowski, jplaYa and broXcore like this. Jeffrey Lebowski, jplaYa and fsck~ like this. jplaYa and fsck~ like this. I would need to play with you to give better tips because that is basically a reel of all your best shots and hits. At first glance, I would say crosshair placement of your pistol and rifles and wide peeking. There's a few clips on Mirage where you wide peek and are uncertain of where the guy is so your crosshair kind of hangs out in the middle. Pick one and rely on a flick if he pops out elsewhere. You're doing yourself no benefit by riding in the middle. Gamesense is always going to be the blueprint to your success. If you can know when to rotate, run instead of walk, understand economics and so on, you'll get out of silver. Aim and spray come with playing the games. yeah thinking back on that, i think i'd do better to record my lowlights instead, and look at what i'm doing wrong. crosshair placement is probably my biggest struggle, outside of spray control. i constantly look too low, and have to snap to adjust. Joe_Pesci and broXcore like this. is that after you set up that mobile authenticator? outside of an m4a4 desolate space and an ak red laminate, i don't have much worth anything. i'd like a knife, but those are hilariously expensive. I keep finding new things to spend money on. Just upgraded my AK last week when I found one with a crown on it. The gun + the crown cost less than just buying a crown alone at least. Not necessarily to hug corners but to use choke points and peek to your advantage. Hugging corners is part of it but sometimes you have to boldly peek and also try to also be unpredictable. That also depends a lot on the map. Joe_Pesci and fsck~ like this. i was doing this in a deathmatch game last night. i need to practice it but it seemed like it helped. I've seen people say valve DM is best for crosshair placement, and free for all DM best for pure aim. Crosshair placement isn't one of my top issues so I just do ffa. I'm watching a few items in the new case, curious how far they drop while settling in price. what's the difference? is ffa community servers and valve through matchmaking? those can be decent in situations, but with the current metagame, ak/m4 is the way to go. Valve is through matchmaking and you have the two teams, so most of your time is spent finding an enemy (hence crosshair placement). FFA is the community servers where 90% of the time there is an enemy right next to you so you're constantly shooting/aiming. I donated $5 to a community server on the west coast which gives me a permanent slot since they are usually full. I think they're actually really good, just nobody spends the time to use them enough to be comfortable with the spray pattern. I like it too, but there is just nothing better than the Wasteland Rebel for me. I'm looking at the M4A1-S (the battle-scarred is darker and looks best), the awp, and the deagle. all time favorite ak is the case hardened, but that can get expensive for the low float ones. love the wasteland rebel though. i had an awp asiimov with a cloud 9 holo and a skadoodle signature, but i sold it. really regretting it now. favorite skin of all time for me. The main reason they're never bought in comp is cost. So much of the game is economics. 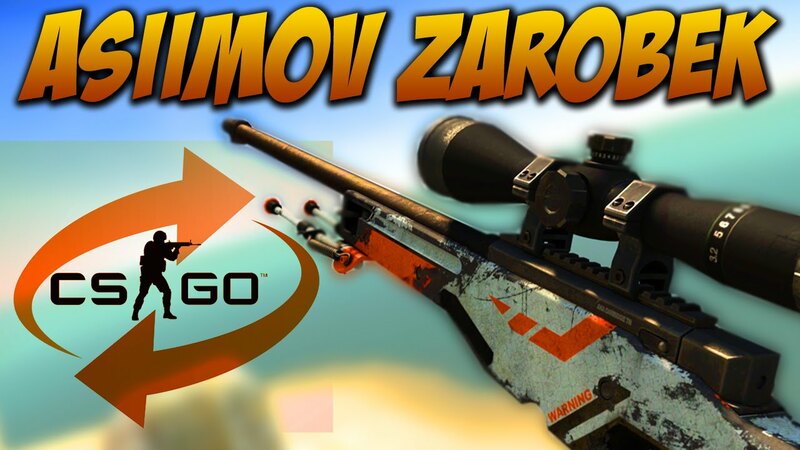 When your aim is good no need for the zoom and extra 400 for CT and 1k for T.
I have a blackiimov right now, the asiimov with such a bad float that the scope is full black and looks awesome. That $400 is extremely worth it if you were as comfortable with the gun. It has way better accuracy and 1 shot headshots. Pros purchase it occasionally. I mean rarely and only if they have a wealth of money and it's last round. The AK first shot is the most accurate in the game. M4 is way better for spray than an AUG. I love mirage, Nuke, and train but that's probably bc they were in original CS. I think I've seen people talk about the movement speed as being the reason pros don't buy aug/sg more. Their accuracy/damage/penetration is far better. i honestly did not know this. i thought ak had higher, with m4 right behind. I stand corrected. With that being said, I would never buy a Sig or an AUG over the others. Any of y'all wanna play a match later. It's been months and all this talk gives me that itch. just got finished playing for the night, but let me know if you wanna play sometime soon. might be a little low on the rank side though lol. We could always play some non-competitive games for shits and giggles. But I'm on west coast time and work late, so not sure on the overlap there, just getting home. dualies are so fun tho. rack up those stat track kills. Are there a lot of cheaters at the silver ranks? The more games I play, the more questionable stuff I see. Last night on D2 the guy looking mid double doors hit or killed someone crossing at the beginning in probably 10 rounds. He got me in the head twice through the door. We should have been using smokes but that seems really high for our skill group. Also I hate going B as CT but no one else ever wants to do it. Generally, dust 2 is the cheaters map. I never queue it for that reason alone, as well as the amount of toxicity. I stick to cache, mirage, nuke, cobble, and inferno and almost never see cheating. I do think there are more cheaters in silver/gold nova non-prime though. Yeah seriously, never have D2 in your comp picks.